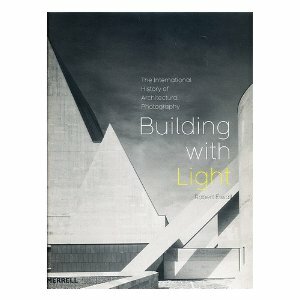 I bought the above book (Building with Light. The international history of architectural photography. Robert Elwall) a couple of years ago. 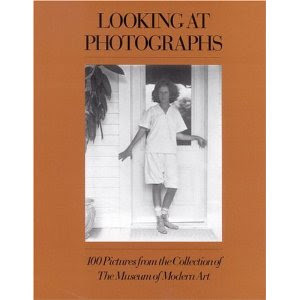 It is interesting and useful to study the pictures seeing them in a different way that I had previously. How do people interact with the space. What did the architect have in mind when designing the space. What particularly stands out for me re-looking at the images now are the patterns and shapes. An example of the images that I find the most interesting are those of Lucien Hervé An Hungarian photographer, who seems to turn the most ordinary aspects of a building into works of art. This staircase below an example. The high contrast makes it more dramatic. I am beginning to see that this is something I am timid in portraying in my own images. Maybe because I mostly take portraits and this course that is focusing on buildings is so different. My architectural images look flat. Make a note to up the contrast. The shapes in this image are more important than the place. Diagonal lines, curves, triangles, everything we have learned about shape is in this image. The matching shape of the bird on the right and the black space on the left. The two sets of stairs creating diagonal lines in opposing direction. The big white space on the right and the banister on the right. Some how they all work together. 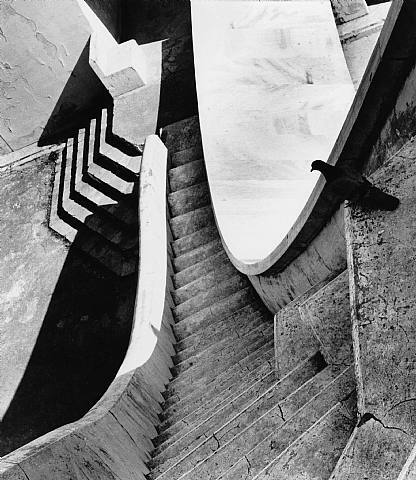 Then there is texture on the grey stairs. When you see work like it is so impressive but what I need to learn is how to see it to take the image. Note to self. Look for shapes, texture. shapes and more in the very ordinary.